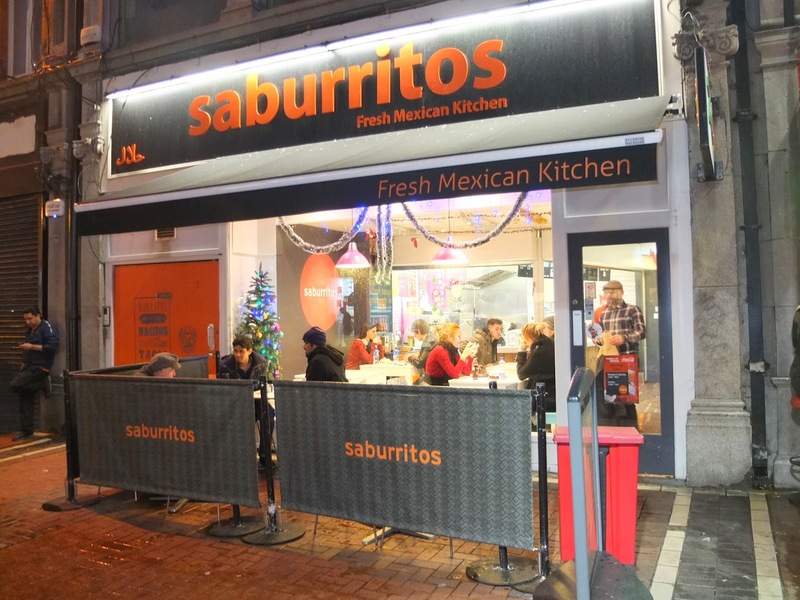 Saburritos Mexican Kitchen is a dynamic company driven by world-class stan- dards to excellence and continuous im- provement in serving the best burritos and Mexican food that can be made. 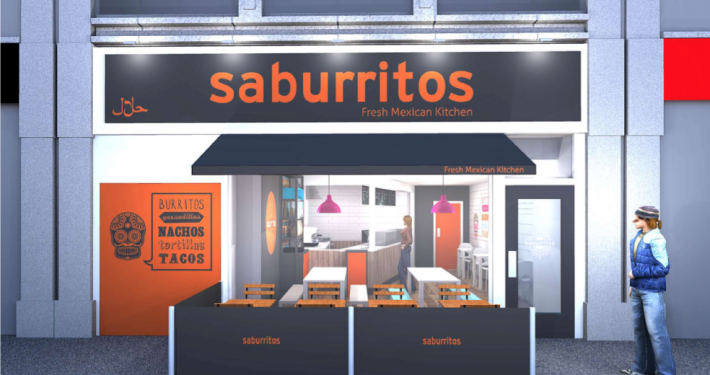 Saburritos have combined taste, nutrition, fun and ener- gy with the most exciting new retail concept of the new millennium, where burritos and other dishes are made on demand to the per- sonal requests of our customers. The bars are attractive and modern looking and because they are located in high footfall locations they attract maximum exposure to customers and require little direct marketing. We provide fresh, fun, tasty natural and nutritious food and drinks to the increasingly discerning consumer who is looking for refreshment, energy, and choice in a relaxed and friendly environment. 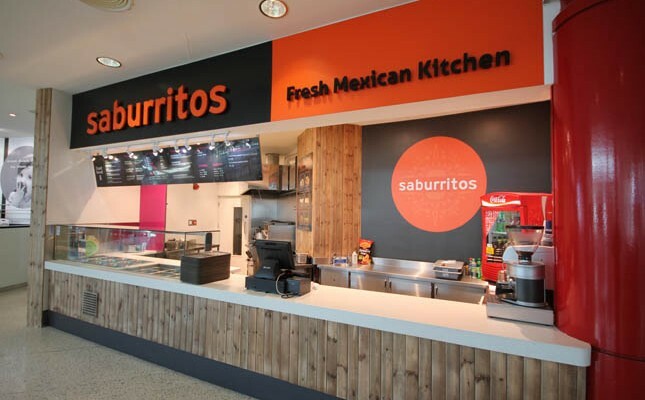 Location - The burrito bars are located in prestige shopping centres and suitable high street locations in high footfall areas thus ensuring a steady stream of potential customers. Freshness - The bars receive fresh produce everyday. The dishes are made fresh to the customers’ request. None of the dishes are prepared in advance thus ensuring complete freshness. Modern - he bars are designed to provide an attractive and clean environment in which to prepare the food and for the staff to work. This in turn provides a relaxing and stylish setting for customers to order their food and drinks. Simplicity - Foods are prepared to specific recipes which are supplied to the Franchisees. The customers are provided with a selection of different foods to choose from secure in the knowledge that the quality and flavour will be consistently good. 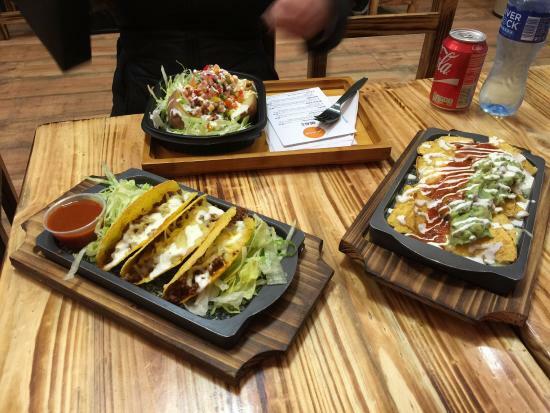 Healthy - The use of fresh produce, freshly prepared with no added preservatives reassures Franchises, their staff and customers know that the food is tasty and good for them. Fun - The attractive and pleasant environment together with the nutritious and delicious dishes provides a fun experience for staff and customers alike. HACCP - The restaurants are operated to a world-class health, safety and cleanliness specificcation. Product Development - we invest a lot of time developing new product lines and ideas such as the incorporation of hot soups and baked potatoes made with the same ideals as our famous toasted burritos made fresh in front of your eyes, we are also working hard in our Saburritos test kitchen to develop a new breakfast products. Please complete the short form below to request more information from Saburritos. In the future you will be able to login using your email address and postcode to quickly request information from other companies.